Blog of Sara (Butcher) Burrier :: Sara B Illustration: I am loved! 2. Must link back to the person who gave it. 3. 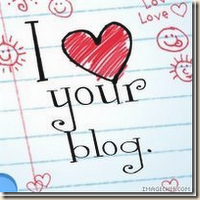 Choose 7 other bloggers to pass the bloggity love onto. 4. Let them know they have been chosen. Also saradoodles has been updated. Sara! Thank you SOOOO much! That is so sweet of you! And your artwork in Princess Sophia's Gifts (which I read yesterday!). Keep posting, girl. And painting! Hi Sara! thank you so much for the kind words on my blog the other day and for the award! Your work is absolutely wonderful! Thanks for the award Sara! How sweet and fun! I've been looking at your postcard on SCBWI's boards - it looks great. Warm wishes on it bringing in some assignments.